That’s where we have the best options for you. 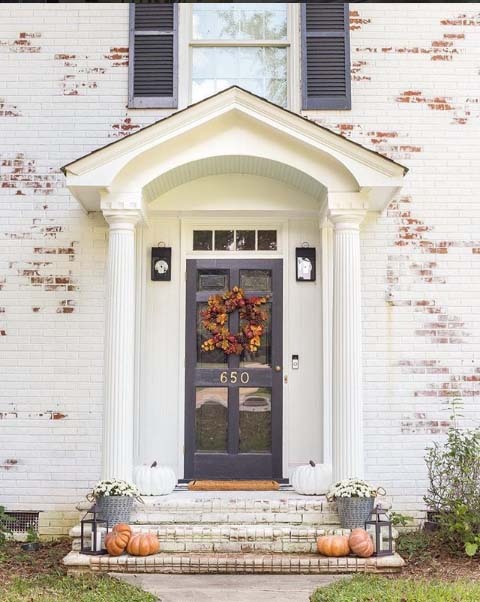 If you have brick, stone, or another masonry surface, and you’ve been dying to get an authentic farmhouse look, but don’t know where to start, then keep reading and check out the examples below. 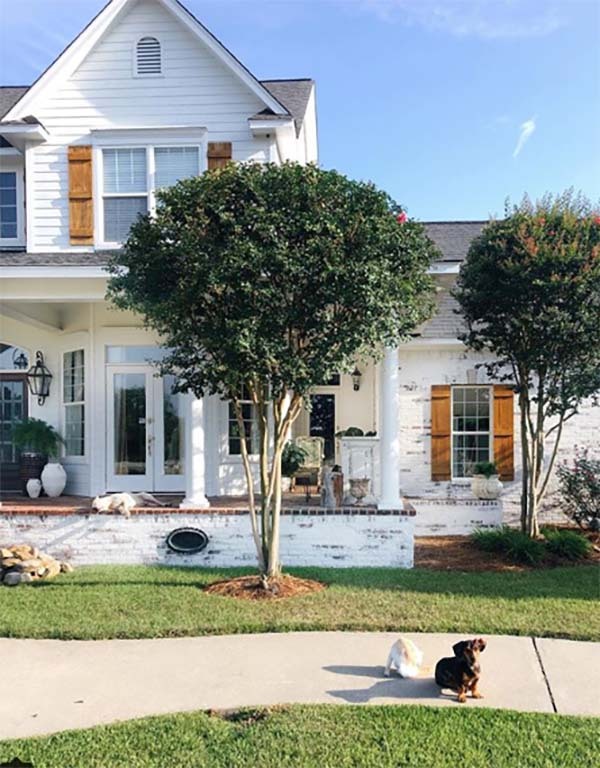 (Left) Romabio Classico Limewash applied as a solid finish with no distressing by home decor and lifestyle blogger, Jen, of Noting Grace . Color is Nube Gray. (Right) Romabio Classico Limewash applied as a DIY in a solid finish with no distressing by Clare and Grace Designs (also shown in the main photo at the top). Color is Avorio White. 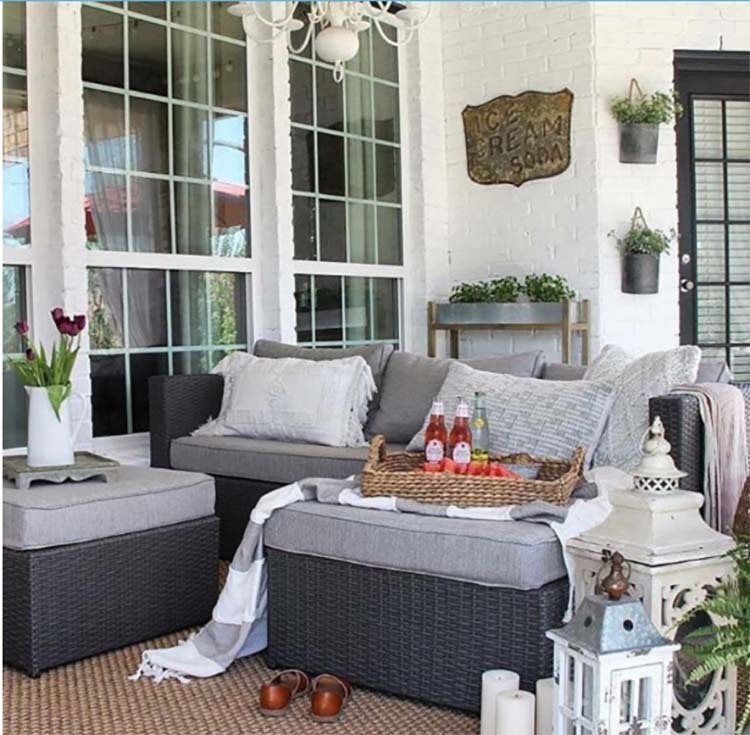 (Left) Romabio Classico Limewash applied in Avorio White with distressing, by the veteran limewash PRO team at Reflections of Italy, for Cindy of the popular blog Ivory Home Design. (Right) Romabio Classico Limewash applied in Bianco White with distressing, by the amazing PRO team at Reflections of Italy. 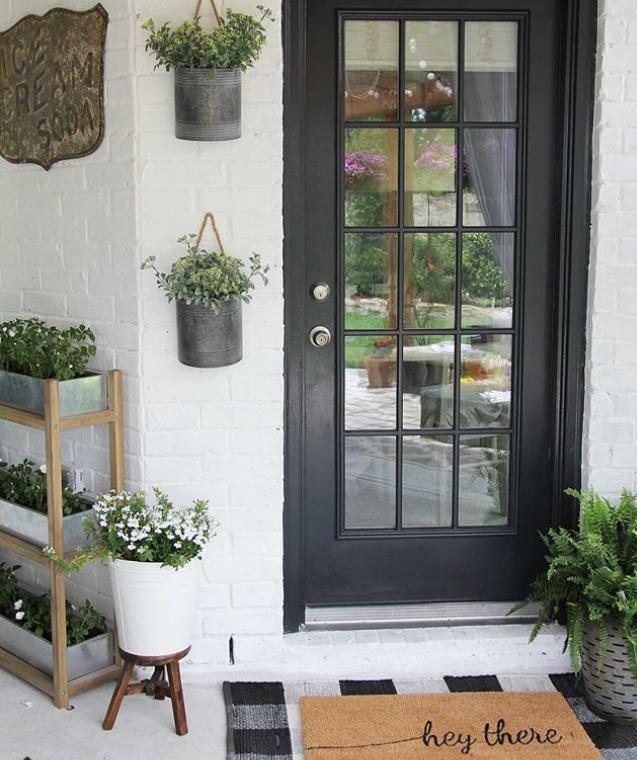 Home belongs to Lauren of the popular home design and lifestyle blog, Bless’er House. Classico Limewash will continue to patina and weather over time. (Right) Romabio BioDomus I in a custom color applied by the PRO applicator team at Kneeland Renovations in Houston, TX. 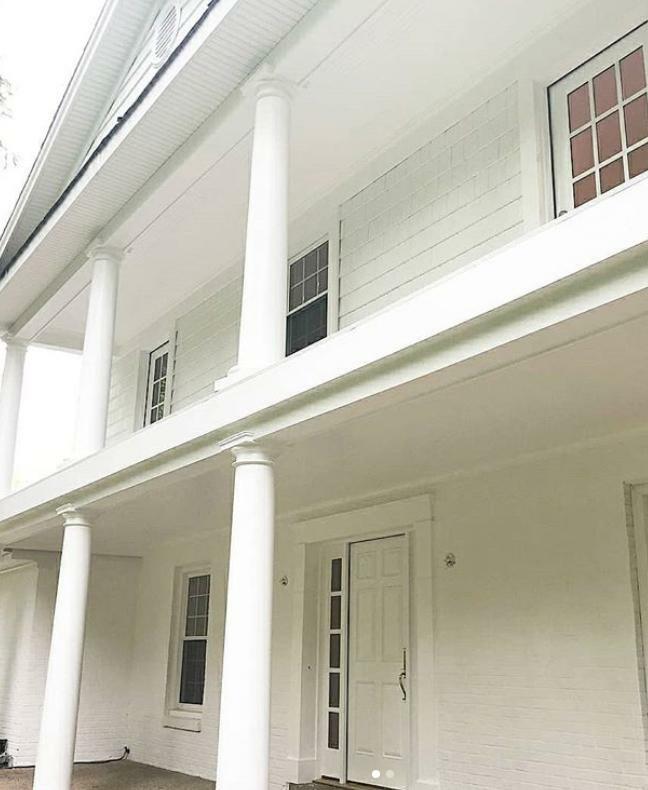 (Left) Romabio BioDomus I in a custom color applied by the PRO applicator team at Redemption Painting in Louisville, KY. BioDomus can only be applied as an opaque coat, as a true Masonry Paint. It does not weather, and has 20 year warranty. Romabio has the perfect paints for masonry, for a reason. But application varies, and they will behave differently as the years pass. The key difference is how they are formulated and will behave over time. 1). Antique Limewash Finish for Classic Farmhouse Look: You can apply it as a traditional limewash, exposed brick finish that will create an antique farmhouse look. This is the single most unique and artistically flexible masonry paint on the market, for that reason. 2). 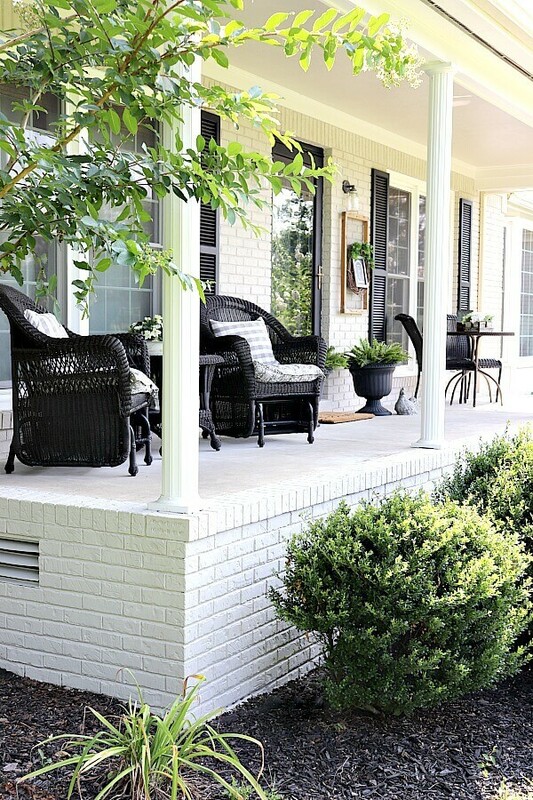 Solid Finish for New Farmhouse Look: You can apply it as a solid, opaque coat for a beautiful, fresh farmhouse look. However, because it is formulated to patina, it will slowly weather over time adding character and exposing the brick or stone surface. Depending on the elements this process could take a couple of years or decades. Made from potassium silicate, a mineral based paint formulated for masonry for extreme durability. It is a permanent and beautiful, flat finish, that is very natural looking. It requires two coats, no additional primer, has a 20-year warranty and will not peel or chip off when applied properly. It will give you the solid, opaque finish for a new farmhouse look and last for decades. Classico Limewash is sold at 650 Home Depots around the country in 2 colors – Bianco White and Avorio White. HomeDepot.com offers all 7 pre-tinted colors, and the Romabio Masonry Brush for sale with free shipping with purchases over $40. 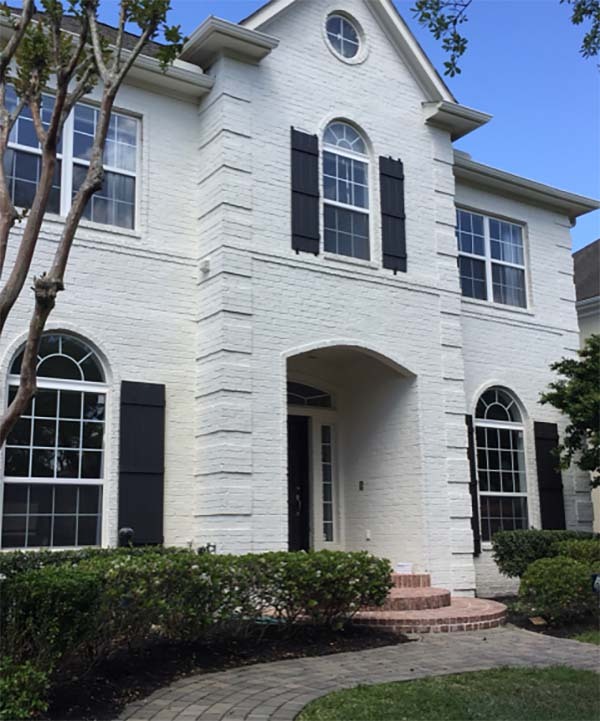 Independent Retailers carry Classico Limewash and BioDomus I Masonry paint can custom tint to almost any color. Check out Where to Buy on our website, to find the store that meets your needs, near you. I hope this helps you decide which product to use. I’ve included more of our favorite examples of practical and artistic uses of farmhouse style with Romabio products, below. If you have more questions, we have an amazing support team that can help answer them, so just email [email protected].